I’ve been building models for about 40 years and doing it professionally for about 30 years … in that time I think I’ve used every possible type of paint available. But in all that time I have never found the perfect primer for pewter miniatures. … perhaps until now. 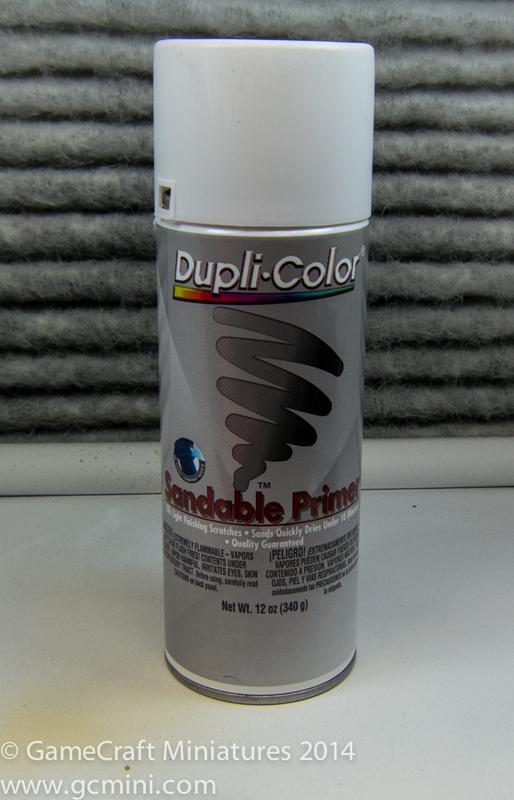 This white primer from Dupli-Color (available at most auto parts stores in America) might be the best primer for soft metal castings I’ve ever found. First, it’s not just a flat white paint, it’s a real primer that attaches to the metal and hangs on nicely. Also it does not go on in thick coats that would destroy details on such small miniatures (see photo of primered BMPs). If you are looking for a good primer for your micro armor, give this a try,,, I think you’ll like it. This entry was posted in Tips, Tricks and Techniques and tagged Dupli-color, Painting, Primer by Allen. Bookmark the permalink.